Looks like the Indian government likes to have complete control on the information flow in the country. Indian government has now directed its efforts towards Google and Skype warning them that their call networks will be shut down if they do not allow India’s security agencies a way to monitor call traffic. Last week India had declared a dead line for a similar request to Research in Motion(RIM) – the makers of Blackberry to allow access to their servers. RIM managed to get a brief reprive from the Indian government after it gave into demands to back-door spying on to its calls and networks. 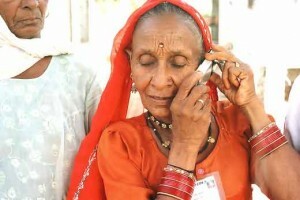 India has proposed a ban on encrypted calls which it claims are being used by terrorists against the Indian state. A senior official said, “The notices to these entities will be issued beginning Tuesday and all of them will be asked to comply with the directive or else they will have to close down their networks”. RIM was also accused of providing back door access to the US while not letting other countries get the same privilege. Google however said it had not yet recieved a notice but it did not state if it would comply with the demands or not. Google did have a rough time dealing with the Chinese government over the censorship issue. Skype on the other hand is said to be working with the Indian government over the issue.